Many people each year add extensions to their home; there are many reasons, but mostly, it makes more sense financially to stay where they are rather than spend time and money moving. 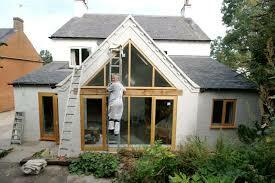 Here is some Q and A on home extensions so that you can decide if one is right for you. What Do You Need to Consider Before Extending? The trick is to extend and to come out well in the investment stakes, which means you have to put a lot of thought into even the smallest extension. There are also practical issues to consider that are not directly concerned with the construction process, such as the soil condition around the house, surrounding trees, flooding history (if applicable), right of way (neighbors). You should also try to befriend someone who has done an extension similar to the one that you’ll be doing. 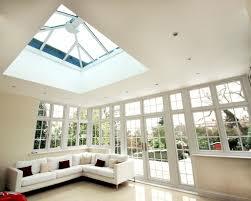 They could have some useful tips as well, along with recommendations of builders or architects you could use. How Much Does an Extension Cost? Many variables will affect the cost of your extension such as whether you are building a single or two story extension, and what the extension will be used for. A two story extension will not cost much more per square foot, because, aside from the extra interior fixtures and finishes, you are only adding walls and floor joists; roof and foundations are required whether your extension is single or two story. Remember: Balance the amount you are willing to spend on your extension with the estimated value it will add to your home. Credit card: If you need to borrow a lot, an interest-free credit card is a good choice. Loan: Personal loans are suited to smaller projects. The loan may be enough to cover the building work. Remortgage or secured loan: If you are borrowing a certain amount you may need to remortgage your home. Payments: Your builder will generally stage payments for each phase of the project. 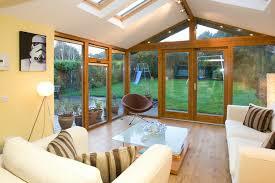 Will You Need Planning Permission for my Extension? Planning consent may or may not be required for your proposed extension; in fact, a large number of home extensions can be built without the requirement of planning permission. If you are doing an extension that will need planning permission, it is wise to pop into your local planning office to find out informally what might be permitted — especially if you are planning anything out of the ordinary. Warranties: Getting a warranty for your extension is advisable as it will cover you for things such as structural defects or faulty workmanship. Should the worst happen, the builders who did the work will need to return to put right what has gone wrong. How to Design an Extension: Many people design their own extensions, using structural engineers for advice. 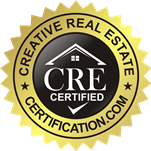 Others use a design and build company who can take on the whole project. The advantage of hiring a professional to do the design work, is that they might be able to visualise the space in a way that you had not thought of due to overfamiliarity with the existing layout of your home. 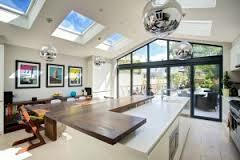 It is also advisable to work with a professional designer with experience in the area if you are extending a listed home or a home in a Designated Area. Finding an Architect or Designer: Choosing the right person to draw up your plans is as important as choosing the right builder, and the prospect can be just as daunting. Most people extending their homes are doing so for the first time and the natural tendency is to invest an awful lot of trust in the person who is charged with the key task of designing it. You’re definitely going to need an architect for this one. Don’t come up with your own plan and tell the builder. Actually, if you have a qualified builder, he’s going to tell you the same thing. But I do know a person who just told a builder what they wanted, they didn’t hire an actual architect. Let me tell you, it was a disaster. I think it’s a really bad idea to do a home extension if you can’t pay cash. You already have a mortgage. Why would someone want to take on another debt just to add a few more rooms? Seems silly to me. If you have most of the cash, but not all, then that’s fine. But taking a second mortgage out on your home to add an extension? NO.